Charles Saumarez Smith will be in conversation with Amanda Vickery to mark the publication of his new book, East London. Tuesday 23rd May, 6:30pm. Registration required. The first in a series of debates which aims to explore how architecture is helping to shape or erode London’s identity. On Friday 16 September Culture Crawl London will take you on a 10 mile night-time adventure around the city. As you wind your way around the capital, you’ll uncover a route steeped in history, art, and culture, whilst gaining exclusive access to amazing buildings, encountering talented performers and enjoying delicious food and drink along the way. The route features some of the capital’s most spectacular venues including; Tate Britain, Kensington Palace, The V&A, Serpentine Pavilion, Foster + Partners Studio and the Royal Academy of Arts alongside Maggie’s West London Centre. The Dining Club will be joined in October by Charles Saumarez Smith CBE; former Director of The National Gallery and National Portrait Gallery, and current Chief Executive of the Royal Academy of Arts. Following a three course dinner served in the magnificent Gallery at Strawberry Hill, Charles will discuss Walpole and the Royal Academy in the eighteenth century. Membership of The Dining Club is required. Photojournalist and graphic designer Judith Aronson, in conversation with Charles Saumarez Smith, based around her series of powerful portraits of celebrated Cambridge academics, literary giants and others, which are currently on display in Cambridge University Library’s Entrance Hall. In 2018, the year of its 250th anniversary, the Royal Academy will open its new building on Burlington Gardens. More than twenty years in planning, it will bring the Academy into the twenty first century with new galleries and a grand new public lecture theatre as well as a route through to Piccadilly, opening up the Academy’s Schools and Cast Corridor to public view. It will be the biggest change to the site since it was sold to the government in 1854 by the Devonshire family. What is the relevance of China to the Royal Academy of Arts? A collaboration between University of the Arts London, Middlesex University and the Victoria and Albert Museum. The conference engages with a set of interlinked Victorian Futures, beginning with the new ideas on cultural democracy and ‘the education of the eyes of the people’ that immediately preceded the Victorian era, following the Reform Act of 1832. In 1835, a Select Committee of the House of Commons was appointed with the aim of extending ‘a knowledge of and a taste for Art’ to the working classes. This agenda for state-sponsored access to culture and public education in the arts was further developed through the Great Exhibition of 1851 and the cluster of cultural and academic institutions in South Kensington known as Albertopolis. It was re-imagined in the Festival of Britain 1951, when a retrospective modernity was combined with an interest in Victorian popular culture. A new Victorian Future is now being proposed for the ‘Olympicopolis’ site in London. What were the origins of this dream of public culture and public access? Do contemporary re-imaginings of Victorian Futures connect with the pre-Victorian dream of cultural democracy? Following the success of the inaugural event earlier this year, the closed-door session will bring together leading museum owners to set up a network devoted to contemporary art and to sharing exhibitions, expertise and funding strategies. The Global Private Museum Summit will assemble private museum owners from all over the world, from China to Greece, from Indonesia to the United Arab Emirates, from the USA to Germany and from Mexico to Italy. It is a gathering like no other in the world. If you have fantasized about finding a lost masterpiece in a junk shop, be careful what you wish for. The protagonist of Hannah Rothschild’s novel, The Improbability of Love, discovers a lost masterpiece by Watteau and is pursued by a Russian oligarch, a Sheikha and an unscrupulous dealer. Is this what the art world is really like? A Trustee of the Tate, soon to become Chair of the National Gallery Board, the author knows whereof she speaks. She discusses her affectionate satire (also a love story) with Charles Saumarez Smith, Secretary and Chief Executive of the Royal Academy. Hannah Rothschild’s previous book was The Baroness. Modern curatorship creates opportunities to set the cultural agenda. No one could have pushed traditional boundaries more imaginatively than Julia Peyton-Jones, Director of the Serpentine Galleries. Under her regime, the Serpentine Galleries have become one of the most exciting cultural hubs in London. The temporary Summer Pavilions, designed by innovative architects and artists, are always a talking point. Charles Saumarez Smith has headed three august institutions: The National Portrait Gallery, the National Gallery and the Royal Academy. What talents do contemporary curators require? Chaired by Dinah Casson whose design company specialises in creating museum installations. William Shipley (1715-1803) was a drawing master and founder of the Society for the Encouragement of Arts, Manufactures and Commerce in 1754. One of the first aims of the Society was to encourage drawing ability in young boys and girls, in the hope that good design would reinvigorate the British school of painting as well as induce the production of increasingly competitive British manufactured goods. Richard Cosway, for instance, who became an important portrait painter, was originally a pupil at Shipley’s school and the recipient of the RSA’s first-ever prize for drawing. Drawing schools continue to play an important role in the education of both professional and amateur artists. To mark the tercentenary of Shipley’s birth in 2015 and to honour Shipley’s biographer and historian of the Royal Society of Arts (RSA), Dr David G.C. Allan, the William Shipley Group for RSA History is proposing to hold a one-day symposium. This event will consider the story of drawing schools from their inception up to the foundation of the Royal Academy, with a focus on the work of Shipley’s own school. It will also explore the work of a regional academy. By concentrating on the earliest history of drawing schools and on hitherto neglected aspects of the field, the papers will dovetail with, yet complement, papers presented at the Royal Academy’s (RA) Educating the Artist seminar series, funded by the Paul Mellon Centre for Studies in British Art in 2010. Speaker: Dr Charles Saumarez Smith, Secretary and Chief Executive of the Royal Academy of Arts. A Bristish cultural historian specialising in the history of art, design and architecture, he is known for his contributions as a cultural commentator, an author of books and articles, a lecturer, and an academic, with regular appearances on television and radio. Dr Saumarez Smith will discuss the formation of the Royal Academy of Arts with the support of King George III in 1768. In this talk on his latest book ‘The Company of Artists’, he will bring to life the characters involved and show how they shaped the new Academy of Arts, changing the practice and perception of art in Britain for good. Event open to Christ’s College Alumni and their guests. 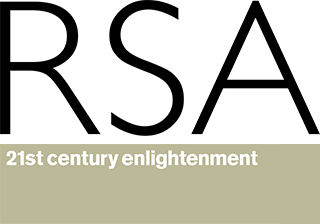 Join Honorary Fellow of Christ’s and Secretary and Chief Executive of the Royal Academy of Arts, Dr Charles Saumarez Smith CBE, who will be speaking on the pertinent topic of arts funding in a time of fiscal restraint. Dr Saumarez Smith was previously the Director of the National Gallery, where he successfully managed the major fundraising campaign to acquire Raphael’s Madonna of the Pinks. He also oversaw the completion of the East Wing Project, which transformed the 19th-century galleries. The Distinguished Speakers Dinner Series aims to bring alumni together in a convivial atmosphere to hear after-dinner talks from distinguished alumni and friends of the College. The evening will begin with a drinks reception at 7.00pm followed by dinner at 7:45pm. 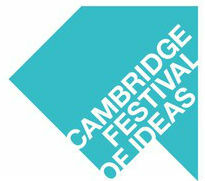 Charles will be speaking about the history of the Summer Exhibition at the Royal Academy followed by a session of Q&A. Judging Panel: Godfrey Barker (Chair), Charles Saumarez Smith, Roy Bolton, Werner Grub, Ben Austin, Daisy McMullan. Artists, working in any medium and from anywhere in the world, are invited to submit applications from the 15th January 2014 until 30th April 2014. The shortlisted artists will participate in two exhibitions, at Sphinx Fine Art and at the Lloyds Club, London between September and December 2014. The exhibitions will also feature previous winner Lottie Davies as a guest artist. A judging panel will award three Prizes; an overall Prize of £1,500 and two highly commended Prizes of £500 each, kindly donated by the Artists’ Collecting Society. The winning artists will also be invited to exhibit in a showcase of their work in an international location as part of the Young Masters International Tour in 2015. Charles has been invited to launch the new Whistler Society. The aim of the society is to promote interset in the life , work and influence of James McNeill Whistler (1834 – 1903) . The society has been established by a group of Whistler enthusiasts who met at the Chelsea Arts Club in 2012. Honorary Patrons include Dr. Stephen Bury from The Frick Collection in New York and Professor Margaret Macdonald of The University of Glasgow. The trio of speakers discuss the challenges of renewal projects for cultural organisations. The transformation of the Grade II listed barns and hidden courtyards at Charleston aims to respect and honour the site’s history and special atmosphere whilst creating much needed new facilities. Jamie Fobert’s practice won the commission to develop Charleston’s contemporary spaces. His recent work includes the extension to Tate, St Ives. 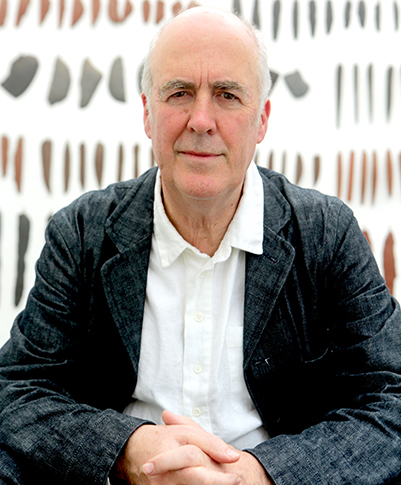 Jeremy Dixon’s practice is known for its cultural projects (Royal Opera House, National Gallery, National Portrait Gallery); Charles Saumarez Smith has led many architectural projects, including at the RA, where he is Secretary and Chief Executive.